You are here: Home / The Millstone Hare / Easter: Egg-citing Facts! Easter Sunday, this year held on 21st April, is less than two weeks away. A time of celebrating, feasting, sending time with family and enjoying new new beginnings, the springtime festival has become more and more commercialised over the years, but still retains many of the links to its traditional roots. What Is Meant By Easter? 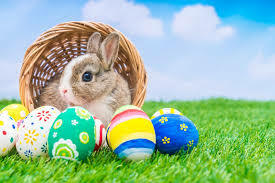 Though commonly thought of as a Christian holiday, according to Bede, the 7th-8th century Benedictine monk, Easter actually dates back to ancient pagan times. It is believed that the tradition first began as a celebration of Ēostre – the Germanic goddess of spring, dawn and fertility – in which feasts were held in her honour during the month of April, then known as the “Month of Ēostre”. In Christian history, however, Easter concludes the “Passion of Christ” and celebrates the resurrection of Jesus Christ. In this religion the week preceding Easter, also the last week of Lent, is known as the Holy Week. Comprising Palm Sunday, Holy Wednesday, Maundy Thursday, Good Friday and Holy Saturday, which all have individual relevance in the story of the crucifixion and resurrection of Christ. Easter can also be linked to Judaism. During this time of year the springtime festival of Passover is celebrated, as a commemoration of the Jews’ liberation from slavery by God and their freedom as a nation under the leadership of Moses. While our modern customs observed during this national holiday may appear unrelated to the festival’s origins, the Easter eggs we exchange; the Easter bunny’s we describe to our children; and the Easter lamb we enjoy over lunch all have ties back to the ritual’s very beginnings. Whether following the pagan, Christian or Jewish traditions, each version of events surrounds renewal, re-birth and a changing of season from winter to spring. Which is where the eggs come in. Though not originally made of chocolate, eggs have for centuries been linked to new life; and also acted as a great injection of nutrition for those who observed the, then far stricter, period of Lent. Rabbits, too, are symbols of fertility – prolific breeders that give birth to large litters during spring – hence the abundance of bunny’s at Easter. Visit The Millstone Hare this Easter! The folkloric figure of the Easter Bunny, whom like Goddess Ēostre originated in Germany, supposedly judged children on their behaviour in the lead up to the festival, and carried with him coloured eggs to give to them. And the easter lamb that we drool over during lunch has its origins in the Jewish celebration of Passover. Lamb was seen as a sacrificial animal and, according to the Bible, Jews painted over their doorposts with sacrificed lamb’s blood, as a sign to God to “pass over” their homes. Roast lamb became a staple at the dining table during Passover, and made it’s way to Christian mouths during Easter. Christians also refer to Jesus as the “Lamb of God”, referring to the sacrificial nature of his death, celebrated on Good Friday. Now you know about the history, it’s time to actually celebrate Easter! 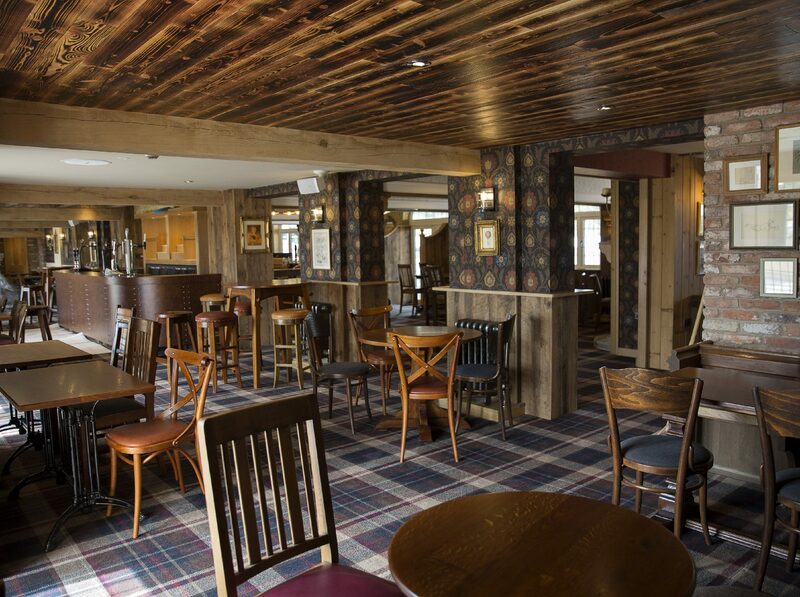 Book a table at The Millstone Hare to taste their succulent Easter lamb, and wide variety of other mouth-watering options. https://dbpoloclub.com/wp-content/uploads/2017/04/DB-logo-white-header-1.png 0 0 Debbie https://dbpoloclub.com/wp-content/uploads/2017/04/DB-logo-white-header-1.png Debbie2019-04-11 07:49:512019-04-04 11:48:06Easter: Egg-citing Facts!